The Kissing Hand (affiliate) is a classic, popular children’s book for back to school time, especially for children who will be attending school for the first time for preschool or Kindergarten. My daughter will be attending Kindergarten this year so it was a perfect read aloud with her this past week. 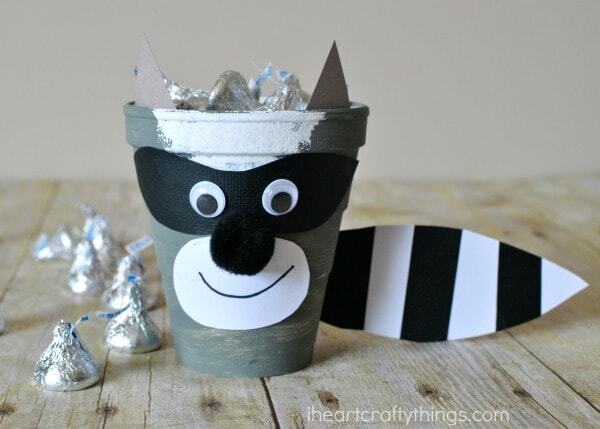 To bring the story to life, we made this adorable The Kissing Hand Raccoon Craft out of a foam cup. 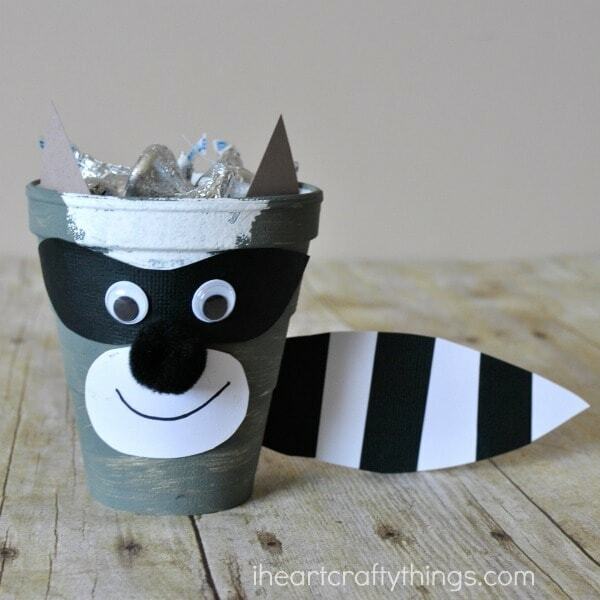 This cute raccoon craft also turns into a fun treat container. 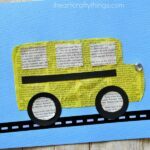 It’s perfect as a back to school craft and can be taken to school to hand out the kisses to classmates, or if you are a teacher you might love to incorporate it for the first day of school after reading The Kissing Hand. 1. Start by painting the outside of your small foam cup with your gray paint. We also used a little white paint to paint a triangle shape at the top of the cup on one section. Let your paint dry completely. 2. 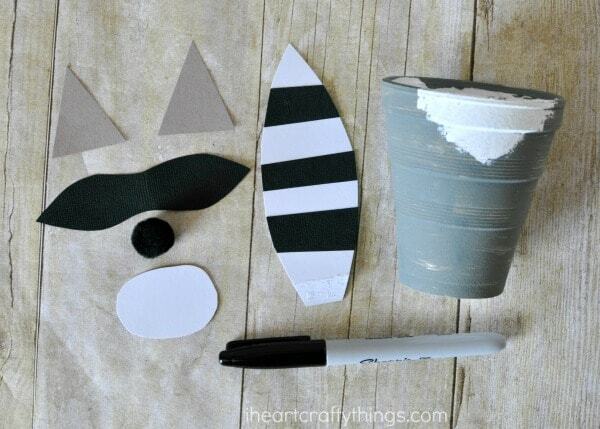 While your paint is drying, cut out your raccoon pieces from your cardstock paper. You’ll need two gray ears, a black eye mask shape, white oval/circle for the mouth and a white raccoon tail. We cut black stripes to make the stripe pattern on the tail. 3. 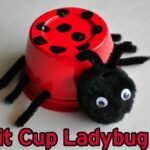 When your cup is finished drying, glue your black eye mask near the top of your cup, under your white paint. Then glue your white oval underneath the eye mask. 4. 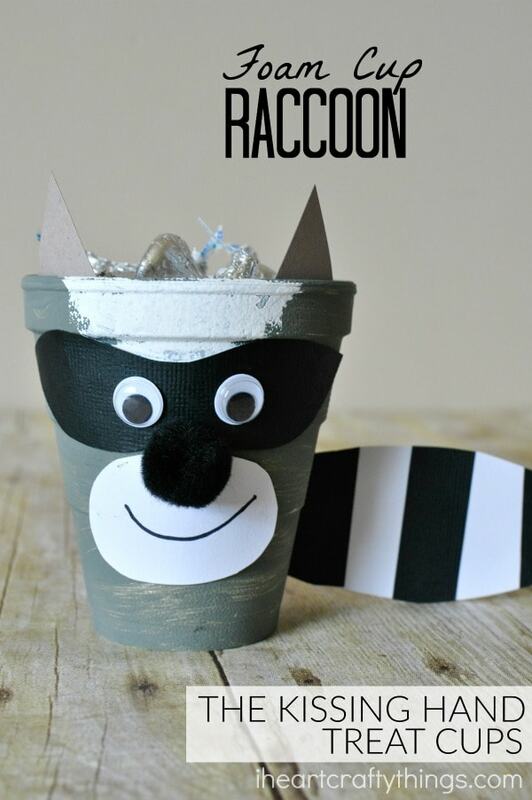 Glue your triangle ears on the inside top of your foam cup, and glue your raccoon tail onto the back of the cup. 5. 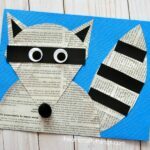 Finish your The Kissing Hand Raccoon Craft by gluing on googly eyes and a small black pom for a nose. Then use your black marker to draw on a cute smile.